Today the Port of New York is where container ships and tankers park while waiting to reload and be on their way around the world. Long black tankers support layered white wheelhouses. Bright orange freighters with pink hulls and white cabins support deck cranes sitting like giant grasshoppers. The orange Staten Island ferries transverse the harbor, passing each other in front of Ms. Liberty through the day and night. The high-speed commuter ferries between Wall Street glide along regal Cruise ships and the new Freedom Tower, higher and more glittering than its predecessor, stands watch at the tip of Manhattan. Heroes of New York Harbor is a collection of human stories––lives that intersected with the Harbor––that appeals to readers of history, family drama, and the power of place to influence lives. You’ll meet a grandnephew of Ben Franklin, who designed forts to protect the harbor before the War of 1812. John Ambrose, who had the foresight and dogged determination to force the city to create a deep water channel (later named for him) to ease shipping in and out of the harbor. The Moran and McAllister tugboat families. Lighthouse Kate, barely five-feet tall, who operated Robbin’s Reef Light on a hidden ridge of submerged rocks that once caused numerous shipwrecks. John Newton, the Army engineer who, after a less than heroic career in the Civil War, finally removed the obstacles from Hell’s Gate passage by designing the biggest man made explosion in history without shattering a pane of glass and with his daughter pulling the switch. Dynamite Johnny O’Brien, a pilot known for his skill guiding windjammers through the treacherous currents of Hell’s Gate became an American hero to Cuba. Emily Warren Roebling, who replaced her disabled husband for 14 years to complete the engineering work for the Brooklyn Bridge and who was the first person to drive a carriage across the completed span in 1883. Malcolm McLean, a tired truck driver who changed the world by thinking inside the box, and Irving Bush, the visionary who invented a unique manufacturing and shipping location despite the nay sayers. 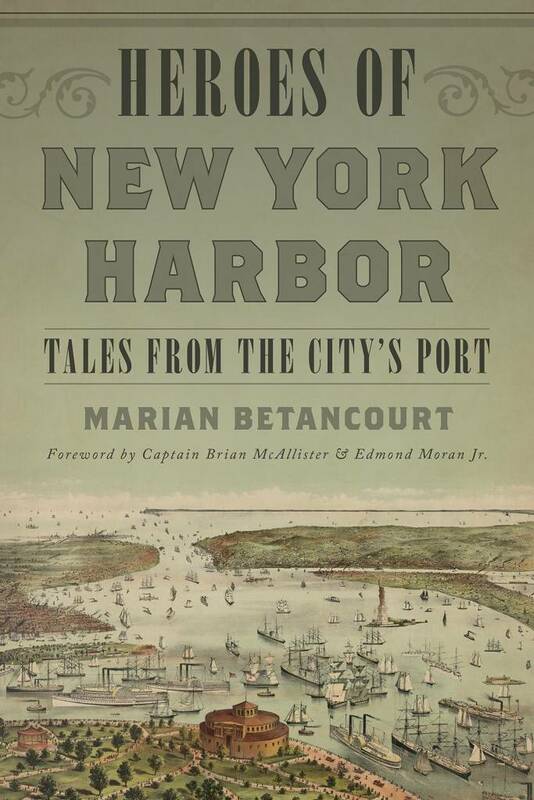 Together, these individual tales weave a love story to the great Harbor and Port of New York. 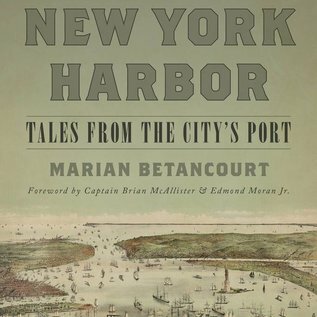 Marian Betancourt has published more than a dozen nonfiction books, a novel, and scores of articles on the history of New York and other subjects. She has always lived near New York Harbor--for the past 22 years she has lived on Shore Road at the Bay Ridge Anchorage.